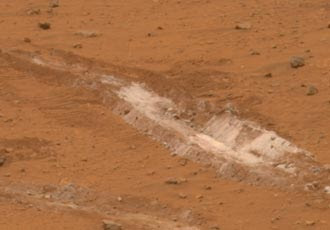 The Mars Rover Spirit has found plenty of silica in a patch of soil it had sampled and analyzed. Pictured is the spot in Gusev crater where it took the sample. Scientists say that only flowing water could have deposited that much silica in the soil. Leading researcher, Steve Squyres of Cornell University, says it is a remarkable discovery which makes one wonder what else is out there. This is not the first time that Spirit had found evidence of water in the crater. The sulfur-rich soil, water-altered minerals, and explosive volcanism also point to water in the past. 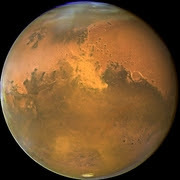 The researchers hope that evidence of water on Mars will also lead to traces of life.